If one reflects for a moment on the fact that Mary truly merited to become the Mother of God (“The Blessed Virgin is said to have merited to bear the Lord of all: not that she merited his Incarnation, but that she merited, by the graces she had received, such a degree of purity and sanctity, that she was fit to be the Mother of God” – St. Thomas Aquinas), then one begins to better understand the magnitude of her spiritual motherhood for all who believe (“She is mother wherever [Jesus] is Savior and head of the Mystical Body” – CCC 973). We also call these spiritual goods of the communion of saints the Church’s treasury, which is “not the sum total of the material goods which have accumulated during the course of the centuries. On the contrary the ‘treasury of the Church’ is the infinite value, which can never be exhausted, which Christ’s merits have before God. They were offered so that the whole of mankind could be set free from sin and attain communion with the Father. In Christ, the Redeemer himself, the satisfactions and merits of his Redemption exist and find their efficacy.This treasury includes as well the prayers and good works of the Blessed Virgin Mary. They are truly immense, unfathomable, and even pristine in their value before God” (from nos. 1476-77). “I cannot think of a higher work or a broader vocation for anyone than the simple spreading of this peculiar devotion [to Mary] of Saint [Louis] De Montfort. Let a man but try if for himself, and his surprise at the graces it brings with it, and the transformation it causes in his soul, will soon convince him of its otherwise almost incredible efficacy as a means for the salvation of men, and for the coming of the kingdom of Christ” (Preface to True Devotion to Mary, p. xxii). “In the communion of saints,” says the Catechism of the Catholic Church, “a perennial link of charity exists between the faithful who have already reached their heavenly home, those who are expiating their sins in purgatory and those who are still pilgrims on earth. Between them there is, too, an abundant exchange of all good things” (no. 1475). “Blessed are you among women, and blessed is the fruit of your womb! And why is this granted me, that the mother of my Lord should come to me? For behold, when the voice of your greeting came to my ears, the babe in my womb leaped for joy. And blessed is she who believed that there would be a fulfillment of what what was spoken to her from the Lord” (Luke 1: 42-45). These are tremendous words uttered by Elizabeth. Let us see exactly what happened when Elizabeth first heard Mary’s greeting. The sequence of events is breathtaking: 1. The babe in Elizabeth’s womb (John the Baptist) leaped for joy; 2. Elizabeth was filled with the Holy Spirit; 3. Elizabeth proclaims that Mary is blessed above all other women; and 4. Elizabeth proclaims Mary’s Divine Maternity, calling Mary “the mother of my Lord.” What is further, and is quite extraordinary, is that John the Baptist has been sanctified in Elizabeth’s womb, just as prophesied earlier in the same Gospel at Luke 1: 15 (these thoughts about Mary’s visitation are gathered from Mary in the Redemption by Adrienne Von Speyr). This profound relationship between Mary and the Holy Spirit (as clearly seen by Mary’s visit to Elizabeth) was also noted by Saint Louis De Montfort, who said: “The more the Holy Ghost finds Mary, His dear and inseparable spouse, in any soul, the more active and mighty He becomes in producing Jesus Christ in that soul, and that soul in Jesus Christ” (True Devotion to Mary, 1.20). Mary, by way of her union with the Holy Spirit, holds a very special place in the mystical body of Christ and has been granted a unique maternal office to draw us closer to Jesus. She proclaims: “My soul doth magnify the Lord” (Luke 1:46). Each of us must say, like Elizabeth, “Who am I that the mother of Jesus Christ should come to me with such amazing spiritual assistance?” And yet Jesus wills it so, and it was he who merited Mary’s maternal intercession for us and the “unfathomable” merits she possesses. Why? – because, as Father Faber says, Jesus knew how much we would love Mary. Refrences: The quote from Saint Thomas Aquinas appears in The Glories of Mary by Saint Alphonsus de Ligouri, p.253. On the Catholic understanding of merit, see CCC 208, which states: “The merit of man before God in the Christian life arises from the fact that God has freely chosen to associate man with the work of his grace. The fatherly action of God is first on his own initiative, and then follows man’s free acting through his collaboration, so that the merit of good works is to be attributed in the first place to the grace of God, then to the faithful. Man’s merit, moreover, itself is due to God, for his good actions proceed in Christ, from the predispositions and assistance given by the Holy Spirit.” See also CCC 2010. In this note I will discuss very briefly the spiritual value of silence, acknowledging that it would be hard to overemphasize the value and importance placed on silence by the great spiritual writers. My main conclusion will be that the deep awareness of God’s own magnificent presence in our souls is nurtured by silence. 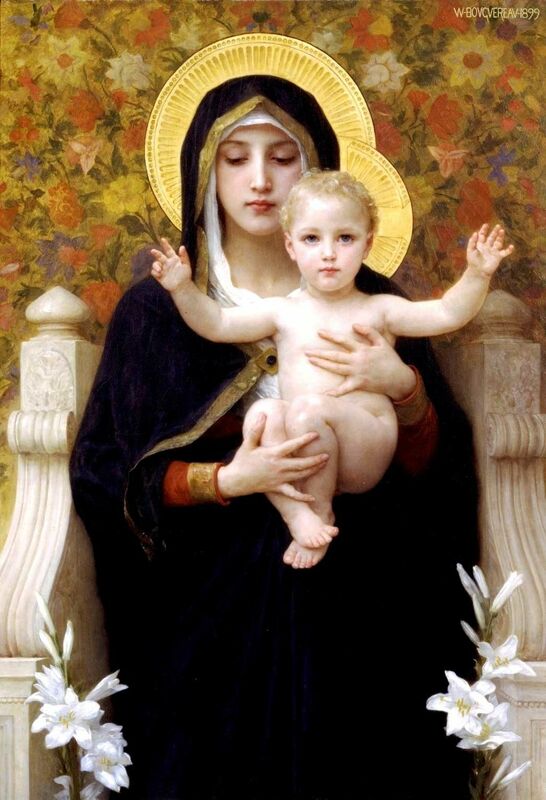 If we meditate for a moment on the silence that existed between Jesus and Mary during the time she carried Him in her womb, and what transpired between her and Jesus during those nine months, our hearts are filled with awe and wonder, and we see anew that silence is not an emptiness but a condition for greater fullness, for greater life, for greater love. There can be no doubt that exterior silence greatly aids in promoting an interior awareness of God’s presence. It says in the Gospel of Luke, for example, that Jesus “withdrew himself into the wilderness, and prayed” (Luke 5:16). And Saint John of the Cross – a great master of interior prayer – loved to pray in the mountains. But it is not always possible to be in the wilderness or in the mountains, and we are advised that “when you pray, go into your room, close the door and pray to your Father, who is unseen. Then your Father, who sees what is done in secret, will reward you” ( Matt. 6:6). Saint Faustina says that “in order to hear the voice of God, one has to have silence in one’s soul and to keep silence; not a gloomy silence, but an interior silence; that is to say, recollection in God. One can speak a great deal without breaking silence and, on the contrary, one can speak little and be constantly breaking silence” (118). “In silence I tell you everything, Lord, because the language of love is without words” (1489). Dr. Susan Muto, a contemporary Catholic writer who has written extensively on the spiritual life, discusses how essential growth in inner silence is. She says: “Silence is not only an essential component of the spiritual life we must preserve if we want to welcome God’s word; it is that which preserves us. What is silence? To be silent is not merely to be mute. Spiritual silence is an emptying of self to make room for God. Ultimately it is only silence that can open us to a deeper experience of God….Each time we retreat to a corner of silence in our project-oriented world, we put ourselves in a state of peaceful readiness. We become docile” (Am I Living A Spiritual Life?, pp. 29-30). Muto adds in another book, “In silence the scattered pieces of my life fall into place, and I see again where I am going. Silence puts me in touch not only with the human spirit in all its richness, but also with the Holy Spirit. It opens me to the dimension of transcendence….Silence becomes a sanctuary in which faith, hope and love are restored. It readies me to listen to words that ring with eternal truths. Silence is almost like a psychic force that produces a heightened capacity for meditation, prayer, and contemplation” (Pathways of Spiritual Living, pp. 56-57). “Contemplative prayer is silence, the ‘symbol of the world to come’ or ‘silent love.’ Words in this kind of prayer are not speeches; they are like kindling that feeds the fire of love. 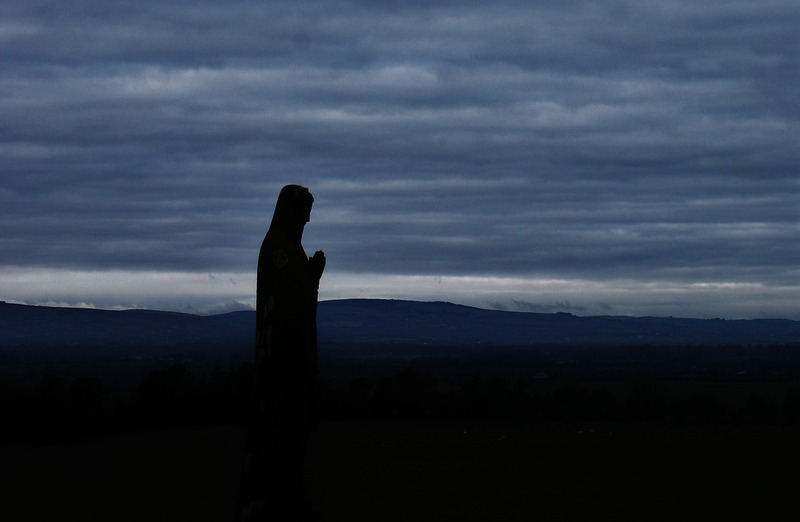 In this silence, unbearable to the ‘outer’ man, the Father speaks to us His incarnate Word, who suffered, died, and rose; in this silence the Spirit of adoption enables us to share in the prayer of Jesus” (Catechism of the Catholic Church, 2717). “The discovery of God present in the soul is one of the most momentous in the soul’s spiritual career…Once the soul has grasped the significance of this doctrine [that God indwells a baptized soul that is in sanctifying grace], the whole horizon changes; the implications are limitless…More and more, the soul of prayer should come to realize that it is the Holy Spirit who is acting….” (edited from pages 119-121). “Do not tell me you can pray with your heart only when you are praying with your mouth….The heart when it prays often invites and even forces the mouth to be silent: and if this silence is unknown to you…how greatly you are to be pitied if you know nothing of this interior prayer and never practice it. My intention is not by any means to disturb and alarm Christian souls [but] to convince them that there is a more excellent way than praying aloud…to beg the Holy Spirit to teach us…to try again and again to keep silence in God’s presence for a few moments; to refuse to be discouraged; to keep our imagination from taking fright; to accustom our minds to it little by little. [T]hose who follow this road with discretion will find it profitable, and will be glad that they made the effort….” (How to Pray, pp.63-67, as edited). 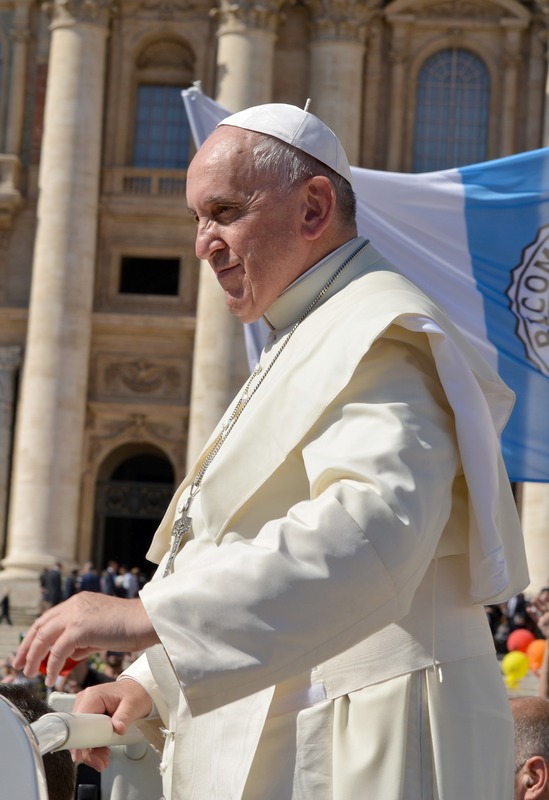 From the beginning the controversy regarding Amoris Laetitia has been portrayed as being limited to whether a divorced and civilly remarried Catholic might be permitted, in certain circumstances, to receive Holy Communion. The purpose of this note is to demonstrate that the reach of Amoris Laetiti goes well beyond just the divorced and remarried, at least for those who do not intend to interpret the exhortation through the previous teachings of the Church regarding the impermissibility of exceptions for intrinsically evil acts. 297. It is a matter of reaching out to everyone, of needing to help each person find his or her proper way of participating in the ecclesial community and thus to experience being touched by an “unmerited, unconditional and gratuitous” mercy. No one can be condemned for ever, because that is not the logic of the Gospel! Here I am not speaking only of the divorced and remarried, but of everyone, in whatever situation they find themselves. In a 2016 letter to Pope Francis, distinguished professors Germain Grisez and John Finnis pointed out just how easy it would be for those not committed to Catholic orthodoxy to interpret Paragraph 297 of Amoris Laetitia in a way that runs profoundly afoul of Catholic morality, and they petitioned the Pope to correct such a misunderstanding (see, “The Misuse of Amoris Laetitia to Support Errors Against the Catholic Faith,” available online). These professors provided numerous examples in their letter as to how no. 297 could be used to support immoral behavior. Even within the parameters of a more restrictive interpretation, AL 297 specifically mentions couples “living together,” and by the time you get to paragraph 301 the generalized use of the term “irregular situations” begins to appear. No precise definition of what “irregular situations” means is given, but one presumes the more generalized language is purposeful. 301. For an adequate understanding of the possibility and need of special discernment in certain “irregular” situations, one thing must always be taken into account, lest anyone think that the demands of the Gospel are in any way being compromised. The Church possesses a solid body of reflection concerning mitigating factors and situations. Hence it is can no longer simply be said that all those in any “irregular” situation are living in a state of mortal sin and are deprived of sanctifying grace. More is involved here than mere ignorance of the rule. A subject may know full well the rule, yet have great difficulty in understanding “its inherent values”, or be in a concrete situation which does not allow him or her to act differently and decide otherwise without further sin. Pope John Paul II explained in Veritatis Splendor the clear Catholic teaching that an intrinsically evil act cannot be creatively transformed into something willed by God under concrete circumstances (the suggestion put forth in AL 303 and 301). By trying to claim that an intrinsically evil act like adultery, fornication or other “irregular situation” may be the most generous response a person can give to God at a certain moment in his life, Pope Francis has embraced situation ethics and has strayed far from the firm and authentic foundations of Catholic morality. Pope John Paul II had already warned that such an argument is clearly erroneous. CONCLUSION: Amoris Laetitia potentially opens the door to the justification of practically any type of mortal sin, not only because it is arguably for “everyone” in “all situations,” but also because “no area of Christian morality can remain unscathed” if the general statements about moral acts in the document are considered valid, to quote the great Dominican scholar, Father Aidan Nichols. For example, why would a married gay couple not be able to claim under the rationale of Amoris that their union is the best response they can make given their concrete situation. Thus, when Dr. Joseph Seifert referred to Amoris Laetitia as a “theological atomic bomb” which in essence would blow up Catholic morality, making all Catholic morality essentially optional, his opinion was not mere hyperbole. Amoris Laetitia has created quite a mess for those who teach moral theology. One could forcefully argue it is the greatest threat to Catholic morality the Church has ever encountered.